Protects fabric from shine, scorch, water spots & pressing marks. 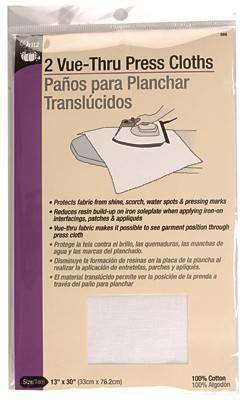 Reduces resin build-up on iron soleplate when applying iron-on interfacings, patches & appliques. 2 pcs. 30" x 13"